How to increase organic traffic of a New Website? – iPro Advisers Inc.
Home / websites / How to increase organic traffic of a New Website? First of all congratulation for making your new website live. The biggest challenge that a new website owner often face is, how to increase the organic traffic of a new website? 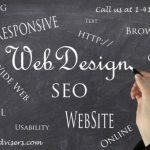 Even for many experienced internet marketing experts, it is one of the most daunting tasks to generate traffic on a new website. It is always an easy task to increase the volume of traffic on an old well established website then getting first little organic website traffic on a new website. It is always a tough task to compete with well-established high domain authority websites in your niche. So, how you are going to achieve the good organic traffic? Well here is the answer. Here I am going to provide you few highly effective internet marketing techniques by using which you can surely increase the organic traffic of your new website. Race to a highly successful online business begins with the keywords research work. Remember that all the top players of your business niche must be targeting the top keywords that can bring them great traffic. So, it is a wise and highly effective strategy to target only long tail and less competitive keywords to not directly compete with the market leader in starting. Just do a small research on the google keywords planner tool and try to smartly shortlist keywords that are less competitive. There are also various other online tools that you can use to sort out the less competitive and long tail keywords. Content of a website plays an important role in generating the organic traffic. First update all your website’s pages with the excellent quality and original content. Quality matters the most so try to concentrate more on quality then quantity. Setup a blog section and start updating it with the original and trending blog posts. Take help from different available tools to search the trending topics on our niche and start writing content on those topics. Be specific in your blog post try to write long content. Short, content will not serve your purpose so try to write long and engaging content. Here from engaging content, my denotation is towards the content that can produce maximum number of comments and likes. In starting, you can even update your website with at least 5 blogs a week. But never compromise with quality on the sake of quantity. Link acquisition can be done through many different mediums but the best way to do it is through quality guest blogging in your niche. You can search for the blogs that have huge traffic within your niche. You can content the webmaster and ask them to post little good quality content over there and get backlinks for your website. Apart from that you can also do pdf submission, blog commenting, classified ads submission etc. Social media marketing is extremely important when it comes to generating organic traffic on a new website. You can share few posts daily on your Facebook, twitter and Instagram account to engage with more people and to motivate them to visit your website. Remember that only sharing promotional posts on the social media profile is not a good idea so it would be great if you can perfectly blend your posts with information and promotion at the same time. Don’t forget to keep engaging with your social media followers and share content that can engage them and motivate them to click or like your posts. So, above discussed were few marketing tips that are surely going to help you in generating organic traffic on your newly developed website. iProadvisers Inc is your one stop destination for all the financial and mortgage professional websites need. We offer websites for mortgage brokers, financial advisers, and insurance agents along with the internet marketing suite. Our highly experienced professionals exactly know how to grow your business into a highly successful business online. Specialized in website design and CRM for Insurance Advisors, Financial Advisors, Mortgage Advisors and Accountants in Toronto Canada. Our web-based application helps Advisors in North America to manage their website as well as keeping a constant communications with their clients via Newsletters, Ecards, Direct Mail, Marketing Campaign and more.